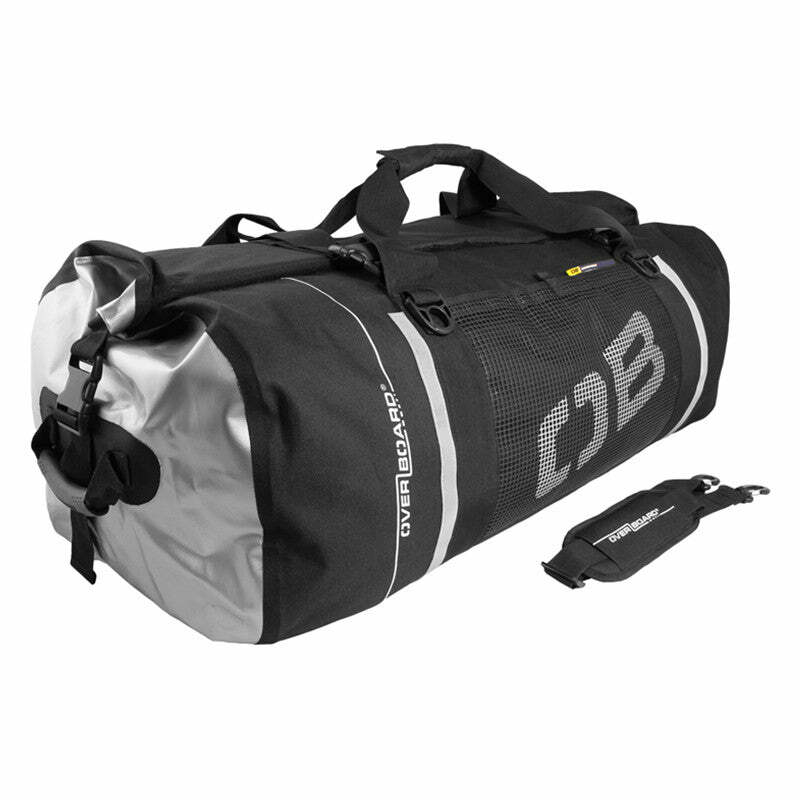 This new size waterproof roll-top Ninja bag is slightly smaller than its bigger 130 Litre brother, but no less tough! With heavy duty buckles, a strong PVC base and exterior sides made of stylish & durable nylon mesh fabric. Our Ninja bag really is extra tough, and thanks to our handy Fold Seal Systemª & Velcroª strip, this large duffel is 100% waterproof and suitable for quick submersion. Extra features include a large wet/dry pocket and two more internal mesh zip pockets to easily separate & locate smaller items; as well as a padded shoulder strap and rubber haul handles. All this makes this large waterproof duffel the perfect portable & hardwearing waterproof luggage, ready for any adventure.